A pint-sized and fragile green-eyed actress Hayden Panettiere is an American actress who became famous for her role as a cheerleader Claire Bennet on the television show Heroes and as a country singer Juliette Barnes on Nashville. The actress was born on August 21, 1989, in Palisades, New York. Apparently, the acting genes were inherited to the girl from the mother Lesley R. Vogel, a former soap opera actress. Her father is Alan Lee Panettiere, a fire captain. It was her mother, who noticed the daughter’s acting talent and decided to develop it. She initiated several commercial projects on the radio station and periodically invited her daughter on the air. Getting used to the microphone, the girl began to appear on television. Panettiere first appeared in commercials at the age of eleven months, starting with an advertisement for a Playskool toy train. Soon, advertising directors began to invite Hayden Panettiere to other projects. It was an invaluable experience for a preschool child. Panettiere was only four when she started her acting career. At the start, she has episodic roles in such pictures as Unhappily Ever After, The Object of My Affection, Message in a Bottle and many others. In 2000, Hayden Panettiere gained a higher profile when she landed a role opposite Denzel Washington in the sentimental sports drama Remember the Titans, which brought her critical and commercial success. After that, films and TV series offers started pouring in, like Joe Somebody, The Affair of the Necklace, Normal and others. Panettiere’s 2004 pictures as leading roles include Disney movie Tiger Cruise and The Dust Factory, and 2005 picture - comedy family film Racing Stripes. Hayden Panettiere rocketed to a new level of fame in 2006 when she auditioned for the comedy movie Bring It On: All or Nothing as a cheerleader schoolgirl. The same year, Panettiere became most prominent as Claire Bennet in the NBC series Heroes also as a high school cheerleader, but with regenerative healing powers. Thanks to her role in Heroes, she became a regular on the science fiction convention circuit. Then, the actress had a supporting role in the 2006 dark comedy-drama Mr. Gibb and the 2007 independent film Shanghai Kiss. The directors and colleagues of the set noted the Panettiere’s amazing ability to transform- she quickly got into all the characters. In winter 2011, Hayden starred as Amanda Knox in the controversial true crime television film Amanda Knox: Murder on Trial in Italy. The main difficulty was that the film was based on a real-life story of the murder of Meredith Kercher in Perugia, Italy, and the subsequent trials of the suspects. That is why Panettiere had to portray a student girl who accidentally discovered a man with a cutthroat on vacation. In 2012, an American drama film The Forger was released where the actress played the central role of Amber. Then, Hayden Panettiere appeared in one important project in her life – Nashville series, in which she still shoots. In these musical drama series, she played an ambitious young singer, Juliette Barnes, who challenges an established country star. With the TV series becoming a hit among viewers, Panettiere also snagged some more prestigious awards, including Scream Award-Breakout Performance, Teen Choice Award- Choice TV Actress: Drama, and Saturn Award-Best Supporting Actress in a Television Program or Series. According to the site “Kinopoisk," the actress got $ 75 thousand for each episode of the series. Starring opposite Panettiere, Connie Britton played the role of Rayna Jaymes, a legendary country music superstar, whose stardom begins fading, so she had to collaborate with Juliette Barnes (Hayden Panettiere), a rising younger star. Even before the premiere of the first season of Nashville, the series received many positive reviews, as well as the awards and nominations such as Critics' Choice Television Awards in Most Exciting New Series category. Hardly a surprise that not long after the premiere, the series was renewed to the second season. Nevertheless, Nashville showed low ratings, and the third season was released only after protracted negotiations. ABC channel canceled the show after the fourth season. However, Nashville did not see the finale. On June 10, 2016, it was picked up by CMT and Hulu entertainment company for a fifth season. And in 2017, CMT renewed Nashville for a 16-episode sixth season that debuted on January 4, 2018, and it was announced that the sixth season would be the show's final season, as CMT moved to all unscripted programming. Hayden Panettiere is not only an actress but also a singer. She recorded several singles and soundtracks, including Go To Girl, Home, and many others. In December 2012, she recorded several songs for Nashville, which were released as singles and included on the show's soundtrack albums called The Music of Nashville: Season 1 Volume 1. The second album was released with the same title, but with Volume 2 correction, it was presented on May 7, 2013. Hayden loves dancing, gymnastics, and riding horses. The actress almost does not talk about her personal life. In 2006, she had a short relationship with rapper Ne-Yo. Then the journalists wrote about actress’s affair with Milo Ventimiglia, her partner in the TV series Heroes. Hayden denied these rumors. And soon this fragile and petite girl (her height is 153 cm) found the man who would protect her. She met then-world heavyweight boxing champion Wladimir Klitschko in 2009 at the book launch party for mutual acquaintance Diana Jenkins' Room 23 (both appeared in the book), and they soon began dating. As early as next year, Hayden was noticed with a wedding ring on her finger, but in May 2011, she announced that they had split. Both cited the long-distance nature of their relationship as the reason and said they would remain close friends. Panettiere was dating NFL receiver Scotty McKnight for some time. Panettiere confirmed reports that she and Klitschko had resumed their romantic relationship in an April 2013 interview. They planned to arrange the wedding in December 2013, but because of the tragic events in Ukraine, they postponed the celebration. In December 2014, Panettiere gave birth to their daughter Kaya Evdokia. The press said that Hayden had to recover for a long time from post-natal depression, even she treated in the clinic. Hayden herself told fans about her problems on Twitter. Hayden Panettiere called on for help voluntarily and independently. In an interview, Panettiere told why she did not hide this fact. According to the actress, post-natal depression is a vast problem that many women suffer. But because society does not understand such problems and condemns such young mothers (they are often called idlers or bad mothers who dislike their children), women do not seek a seasonable aid. Therefore, Hayden is confident that we need to talk as much as possible about this phenomenon. In 2014, the actress became yet another victim of a hacker attack. Unidentified persons stole personal photos from the actress’s account where she is naked posing on the deck of the yacht and in the bathroom. In 2016, after the news about the transition of the television series Nashville to cable television, Hayden Panettiere continued to cast in these series as the lead role. In 2017 and 2018, this project was still the main work of the actress. At the same time, Hayden Panettiere was busy in other pictures. 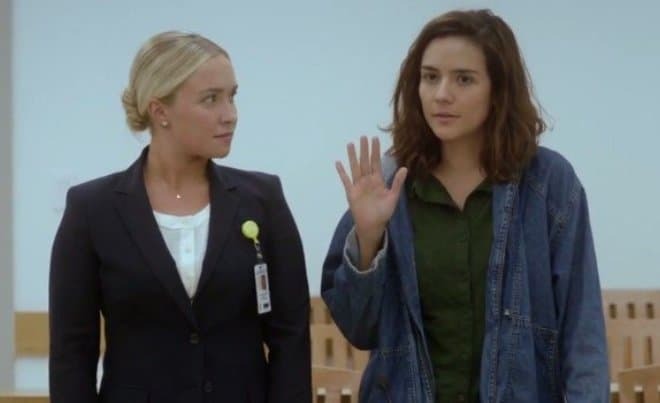 In 2016, the actress appeared in the courtroom drama film Custody, which was about a judge who presided over the custody case of a Latina woman named Sara, who was desperate to keep her children. In addition to the creative biography of Panettiere, the attention of fans and the press also draws Hayden’s personal life. 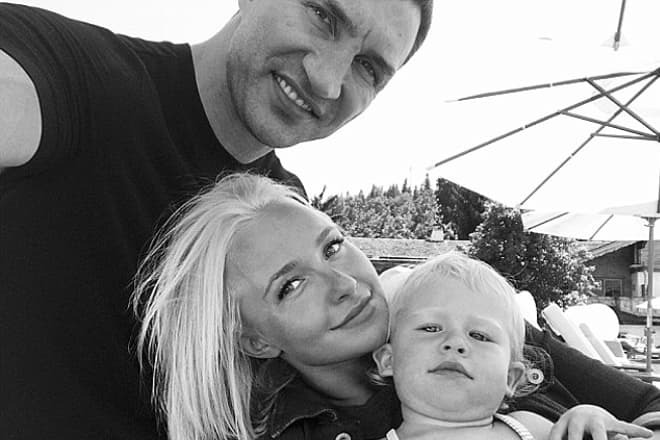 Panettiere and Klitschko are called "super-closed" couple - the information about the celebrities' family life cannot be obtained, and the couple is in no hurry to share the details. Hayden Panettiere does not even keep an account on Instagram and is not active on social networks, but she mostly communicates with fans on Twitter. Such secrecy led to the fact that at the end of 2017 rumors said about couple’s separation. But in winter of 2018, the paparazzi were able to capture Klitschko with his wife and daughter, resting peacefully on the beach in Barbados. Hayden Panettiere is known to have a net worth of $20 million.